In Gotham we see James Gordon starting out in the Police Department as he takes on his first case, the murder of the Wayne’s and how this causes absolute chaos in the city. The series also gives us many different origin stories of the many villains. Let’s face it Batman has always been on favourite and still is my favourite no matter how hard Iron Man tried! Ok anyway I had tried to watch this and recorded it on Sky, but never actually got round to have the time to watch it. That changed though a few weeks ago when I spotted the series on Netflix. Such an easier way to watch a TV series (and very addictive) next episode, next episode. We get plenty of different stories with each episode along with some longer running things going on in Gotham City. We are overloaded with so many characters that we already knew or at least who we thought we knew. The stories were newly developed but based on the characters from the comic books, long before Bruce Wayne is Batman. But we get how a young Bruce has to deal with the death of his parents, what better way to start it all? I mean how many different times have we seen flashbacks of this in the films, so to have something that has looked closer at it is very good for me. The series has 22 episodes and I think that is a very good number to have in all honesty as it means that a lot of character development can be done for the main characters. As well as small introductions or even little hints to some other characters we may see more of in the future. By that I certainly mean in season 2 considering that is due to start later this month, I picked a very good time to watch and finish season 1 by! With the real names and then “nicknames” or villain names being used it is a lot of fun to try to figure out who some of the characters are. Some are quite obvious but that doesn’t mean any less has been put into them. As starting this review I was thinking about my favourite character and think I have changed my mind three or four times, that is just showing who much I enjoyed watching this. Let’s take a closer look at some of the characters and how well they have cemented themselves in Gotham. A lot of characters who mix in very well and cross paths many times over the course of the 22 episodes. It all centres around Jim Gordon and how he is rising in the police department, but he is not a push over by any means. He means business and takes pretty much everything personally, he wants to rid Gotham of the evil and corruption. That also means he has to look very closely at those who are working around him, even his partner Harvey Bullock who has a strange way of doing different things. I have to admit that I didn’t really like him to begin with but he certainly grows on you and is a very good character. 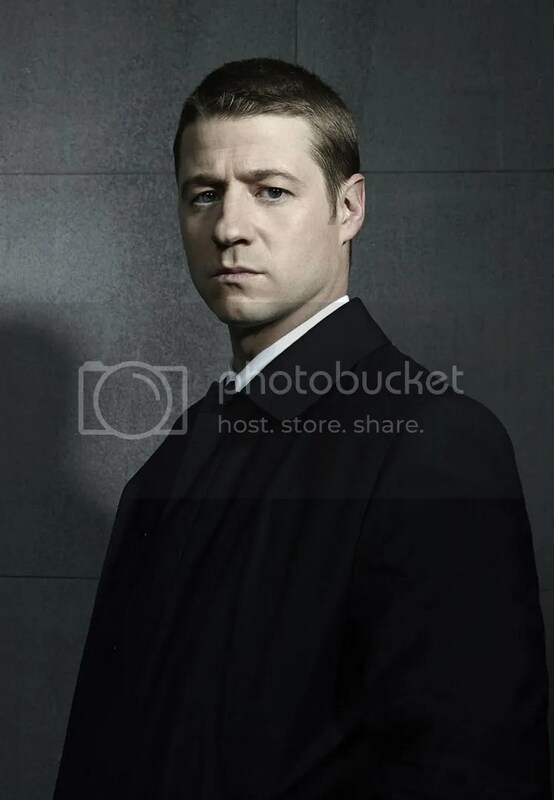 I am very impressed with Ben McKenzie’s performance to really hold the show together as Gordon. Gordon becomes close to Bruce Wayne due to taking on the case of his parents murder and this is something that I thought was a good touch. Bruce is a good character and growing nicely with the different things he has got himself into and standing up for himself. With the help of his butler Alfred, who has been given a very different past that we may think he was a military man and seems to have quite a lot of secrets. Selina Kyle aka Catwoman is just a teenager who is living on the streets and doing very well to fend for herself. She must do anything it takes to survive and becomes friends with Bruce Wayne due to living in his house for a short while. She is a very good character and I must say is probably a close second at the moment in my list, but could easily take over to number one depending what happens in the next season of the show! 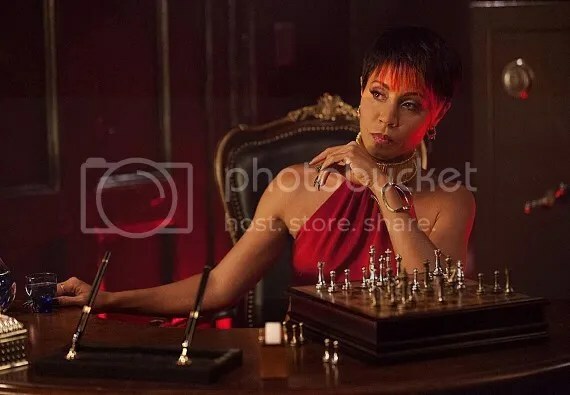 Gotham is over run with mobsters and the main two are Falcone and Maroni who while tend to be at war with each other also call a truce but don’t forget about Fish Mooney who wants nothing more than to be totally in charge of the city on her own. A pretty incredible character and a lot of praise must go to Jada Pinkett Smith for her brilliant performance owning the screen every single time she is on it. 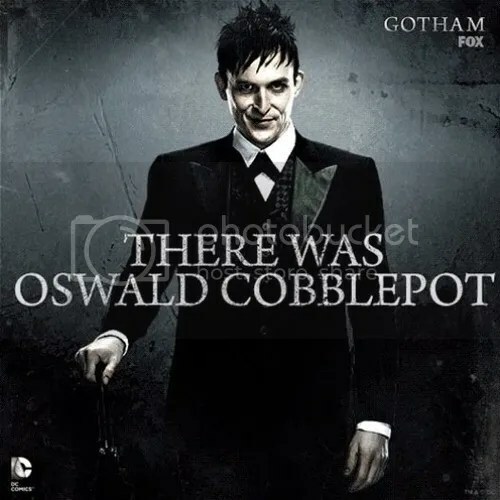 My favourite character though has to be Penguin also known as Oswald Cobblepot. He is evil and sneaky and somehow manages to survive by playing the mobsters off against one another. I guess they really do like something about him as he manages to talk himself out of being killed on quite a number of occasions. The way he walks like a penguin is how he got his nickname which he doesn’t seem very fond of to begin with, but it works. He is really something special in terms of characters and a lot of praise must go to Robin Lord Taylor and where he managed to pull that character from. You expect something else to happen every time he is in a scene. We get a little sneaky look at The Joker, although I actually doubted myself for a moment with that one. Also Robin’s parents as well? You may have to think very carefully about that one as I only pieced that together after talking with someone about this incredible show. I cannot seem to have enough praise for it but that is just showing how much I enjoyed it. Honestly I could not believe it took me so long to catch up with it all. Much better than I first gave it credit for, it is very dark and has some pretty awful scenes but that is something that made it even better. So I cannot wait to see season 2! Great review of a great show! I had mixed feelings on the show. Some episodes were good, others not so good. I also didn’t care much for Pinkett’s character, she was too over the top while everyone else was a bit more understated. I did watch the whole season and review it if you wanted my full thoughts. You totally do! It really is very well put together. I do really like this show and the casting of all the characters has been fantastic but I can’t help feeling that if they just made a Batman TV show then it would dominate the ratings and would mean we get proper, decent stories set in Gotham. You wouldn’t even have to change the actors (except Bruce and Catwoman of course). Yeah I understand what you mean! I gave up after about three episodes, I keep being told to give it another go. Oh yeah I really think you should give it another chance. As I didn’t instantly love it, it grew on me as I got deeper into it.